The IJSBA Code of Conduct Is in Force At All Times. 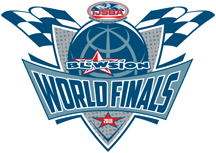 The IJSBA World Finals is a private event, held on private property, and is put on for the purposes of promoting sanctioned personal watercraft racing. The event is for the pleasure of the participants, spectators, vendors, manufacturers, and their families and guests. Permission to attend the event is conditioned upon adhering to the code of conduct. Violent, assaultive, intimidating, or offensive behavior will not be tolerated. There is absolutely zero tolerance for violence or assault against any person attending, participating, or otherwise connected to the event. Persons violating this provision shall be immediately banned from the event, have any points or titles stricken, and be subject to suspension or permanent expulsion from IJSBA future sanctioned activities. While there is no admission fee, the event remains a private event. Permission to attend, view, or participate in the event is revocable at any time for any or no reason. The event is an expression of the creative efforts of the IJSBA. The IJSBA retains all copyrights and other intellectual properties associated with the event. This event is not a public event. The invitation to attend this event is expressly conditioned upon the agreement to comply with this code of conduct. Expressions of national identity, nationalism, or religious affiliation are allowed to the extent that they do not disparage the identities and beliefs of others. Expressions of political positions or affiliations are not permitted. While these policies are largely directed to decals and banners that might be found on PWC or in the pits or vendor booths, the IJSBA may enforce these policies without limitation in order to preserve the integrity of the event. Sales must be made by authorized vendors only. The vendors at the IJSBA have made an investment in this event. Unauthorized vending is prohibited. There shall be no selling or distributing of products without authorization from the IJSBA. Persons violating this provision shall be immediately banned from the event. There shall be no distribution of pamphlets, advertisements, catalogs, magazines, flyers, DVD, or other information material without the express consent of the IJSBA. Sales Solicitation or delivery of food from outside sources is prohibited. Persons seeking to disrupt the enjoyment of the event shall be removed from the event. Spectators, participants, and vendors have spent a great deal of time and money to participate in the World Finals. Conduct which seeks to diminish the quality of this event will not be tolerated. Any expressions that disparage personal watercraft, the manufacturers of personal watercraft, the manufacturers of personal watercraft parts and accessories, personal watercraft owners/operators, the IJSBA, or IJSBA affiliates are expressly prohibited. The IJSBA staff reserves the right to make and enforce any policy which protects the safety, enjoyment, and integrity of the World Finals. The IJSBA Rule Book policies shall be enforced at all times. It is the policy of the IJSBA to cooperate with local law enforcement and other regulatory agencies. The Bureau of Land Management and US Coast Guard have required that the IJSBA enforce a strict policy regarding fueling and maintaining PWC while in, on, or over the water. All event participants are expressly prohibited from fueling a PWC while it is in the water, on a stand or tote that is positioned over the water, or is otherwise within twenty feet of the water's edge. All event participants are expressly prohibited from maintaining or repairing their PWC while it is in the water or on a stand or tote that is positioned over the water. Any person found violating this policy will cause to be assessed upon the owner and/or controller of the offending PWC a fine of $500.00. The IJSBA has hired a shore patrolman for the sole purposes of enforcing this policy. This fine is not discretionary and must be levied on any offender. In the event of a repeat offender, that person shall be removed from the event and have all points and/or title stricken. The thing a competitor may do to a PWC while it is in or over water is adjust carburetor mixture screws for the sole purposes of the PWC safely operating- spark plugs may not be removed in or over water. Junior Riders, under the age of 12, may not operate a PWC anywhere outside of the designated race area. Any Junior Rider found operating a PWC outside of the marked area will be fined and subject to event expulsion. The IJSBA will strike all points and/or titles from any person found violating this policy. The IJSBA is enforcing all copyrights, rights of publicity, and all other intellectual property rights to which the IJSBA is entitled as a matter of law. Competitors, exhibitors, and attendees are welcome to make personal recorded images of the event for their own in home private viewing only. No person may reproduce, broadcast, physically distribute, stream on the internet, attach in an e-mail, iPod cast, make available for download, place on any viewing site including, but not limited to YouTube, Facebook, or any private site, including the image holder’s own website or other type of online data cache any recorded or captured portion of any on-water activity of the IJSBA/Blowsion World Finals. IJSBA may ban or take other action for the sale or use of counterfeit products. Failure to comply with any order issued by the US Coast Guard or the Bureau of Land Management shall result in heavy fines and/or expulsion along with disqualification and loss of all points earned from the event prior to the offense. There shall be allowed absolutely no airborne devices of any kind including, but not limited to drones, radio controlled planes, radio controlled helicopters, planes or helicopters controlled by a tablet or phone, kites, balloons, or anything capable of flying over the course or adjoining areas of Crazy Horse Campgrounds. Any such device, other than those specifically approved by IJSBA in writing, will be subject to confiscation and will become the property of IJSBA. IJSBA further reserves the right to take disciplinary action, including fines and/or disqualification, towards any participant found to be connected to the use of such devices. Pro Ski MOD, Pro Runabout Open, Pro Freestyle, GP Ski, and GP Runabout receive 50% payout. Pro/Am Women’s Ski, Amateur Freestyle, and Runabout Endurance receive 35% payout. Pro/Am Runabout Limited and Amateur Ski GP receive 25% payout. The payout is the stated percentage of the entry fees for each class and forms “the purse” which is distributed as follows: 1st Place- 50% of purse, 2nd Place- 30% of purse, 3rd Place- 20% of purse. Deduct 10% payout if there are not enough entries to result in a qualifier. This does not apply to Pro or GP classes which receive the stated payout regardless of entry numbers. Withholdings are levied on payouts to competitors who reside outside of the USA. GP Runabout is limited to 18 entries. Competitors must possess an IJSBA recognized license as a Pro or an Expert level rider. Competitors must be approved by the IJSBA and their registration in this class is not official until the entry is approved and funds are received. Pro-Am Ski Lites is limited to 20 entries. This class will require 8 entries by September 21 2018 to be run. Masters Ski Stock is limited to 20 entries. This class will require 8 entries by September 21 2018 to be run. Amateur Runabout 1100 Superstock will require 8 entries by September 21 2018. Sport Classes are limited to 18 entries, each require 8 entries by September 21 2018 to be run. If you have a podium finish in any Expert level class in the last three years, then you may not enter the following classes: Amateur Rec Lites, Amateur Runabout 1100 Superstock.